Ferrari’s Sebastian Vettel admitted he could not leave Melbourne without smiling smile as the race offered a positive surprise in a grandiose start. Despite the initial efforts however, Vetel had to settle for the lowest stop on the podium of the Australian Grand Prix. After Ferrari settled for the second row on the grid by not opting to use another new set of super softs during qualifying, both the team's drivers shot to the front and were leading the field by the time they entered turn 2. “I obviously had a great start, I was very happy to see that I had a better start than the two cars in front of me, reminding me of Hungary last year and it worked out,” started Vettel. The two Ferraris were showing promise until the race was stopped. That stoppage, caused by Fernando Alonso's encounter with Esteban Gutierrez, happened at a very bad timing because Ferrari just started to capitalize on their saved brand-new supersoft rubber which then had to be thrown away after a couple of laps. The four-time world champion is, however, buoyed by the fact that Ferrari managed to up its game from qualifying into the all-important race. “Yesterday we were a bit further away and today we were closer. 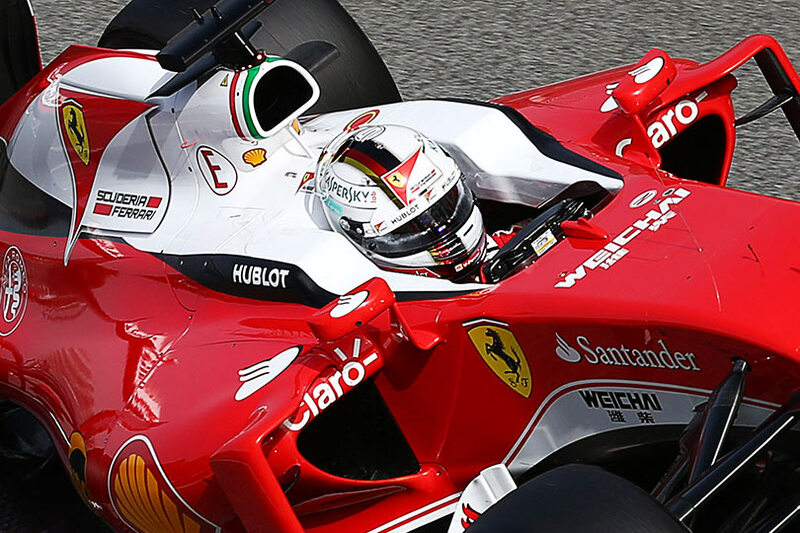 In general it was a great race, I was racing flat out until to the end,” concluded Sebastian.